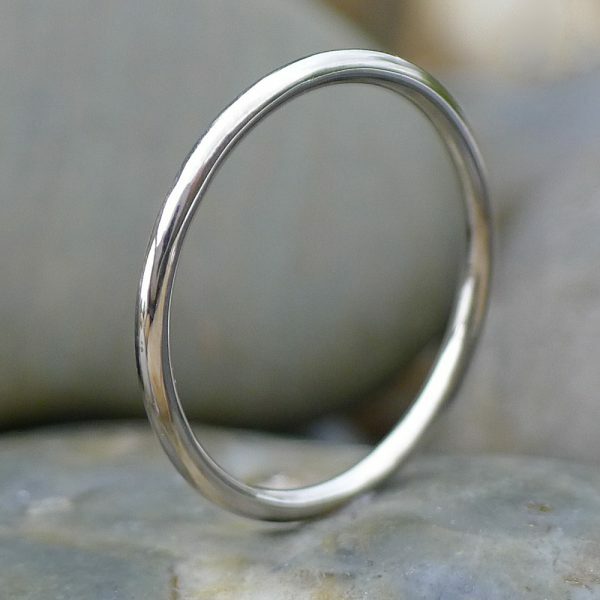 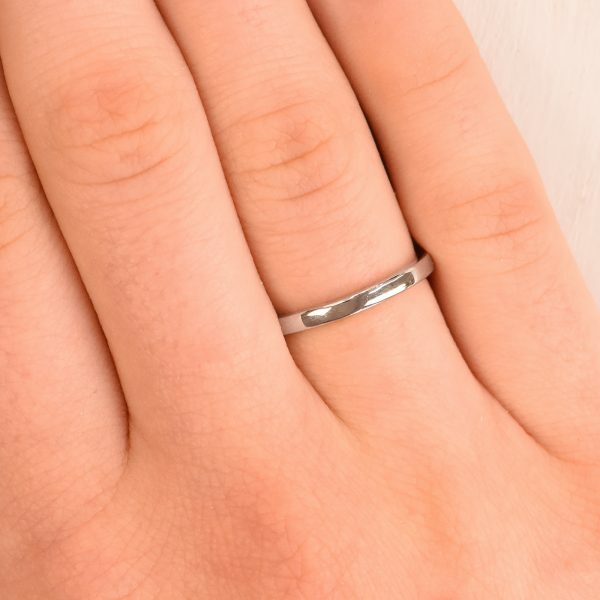 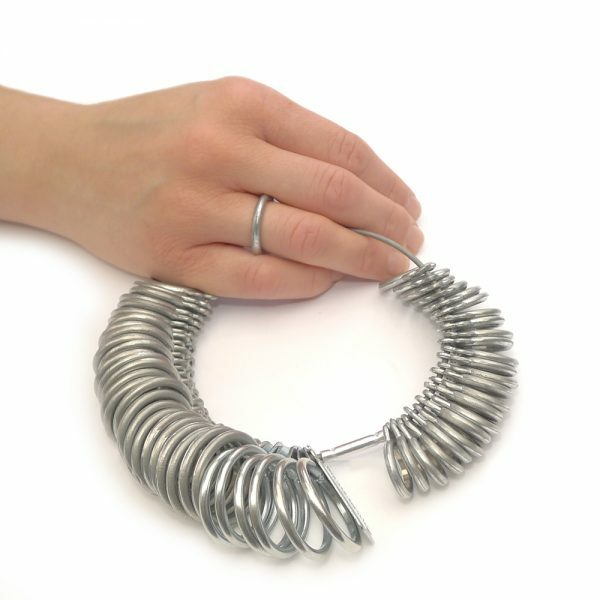 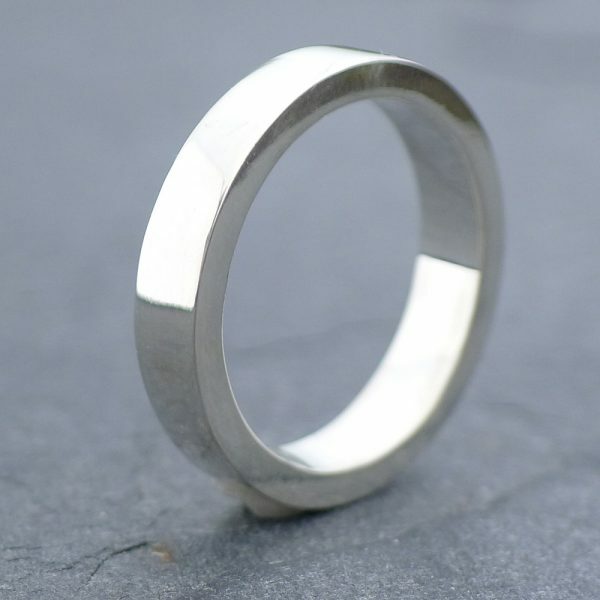 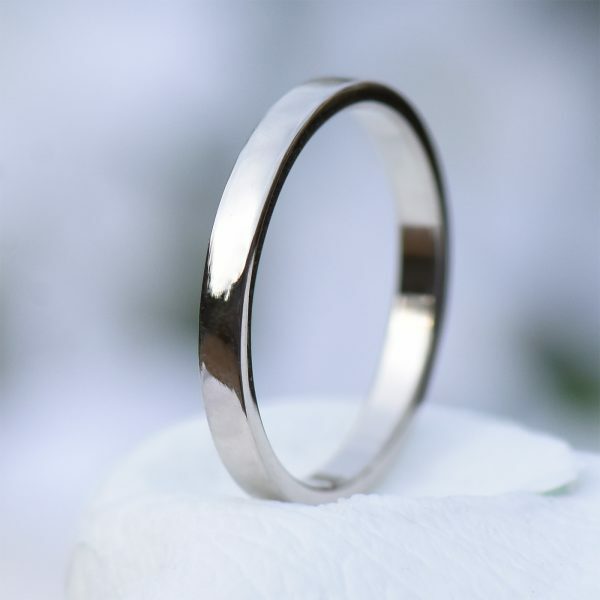 A slim 2mm flat wedding ring, handmade by Lilia Nash at her jewellery studio in Lechlade, Gloucestershire. 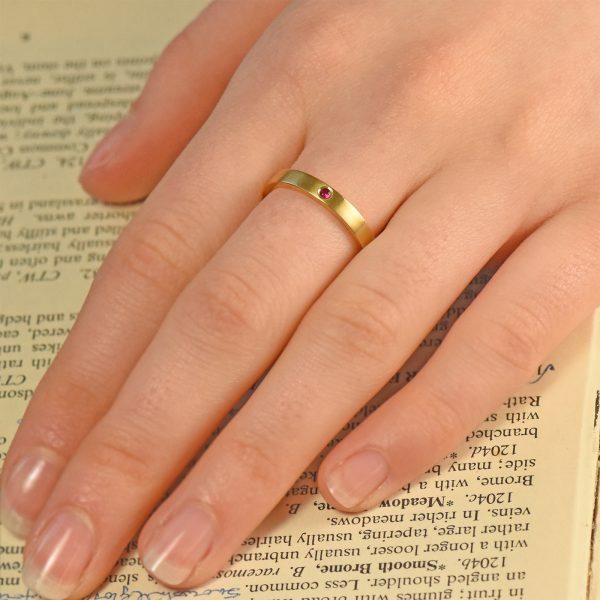 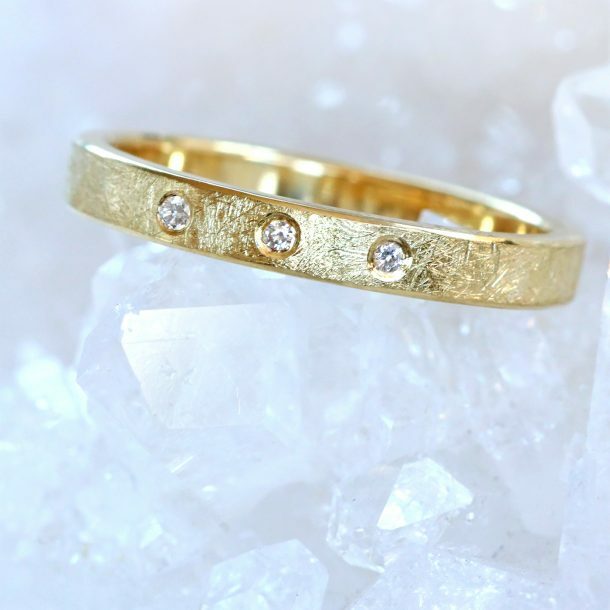 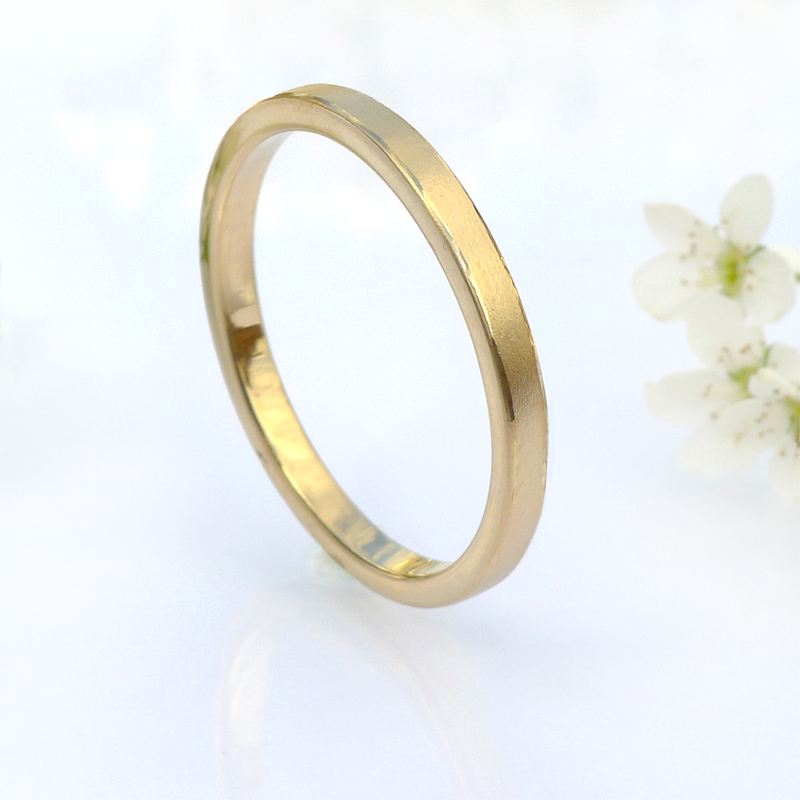 This slender wedding band is made using traditional jewellery making techniques, shaping a single length of ethical recycled 18ct gold into a seamless infinity band. 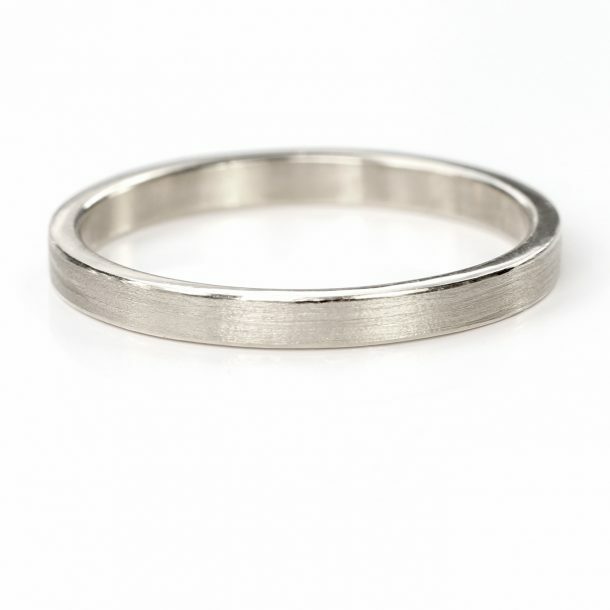 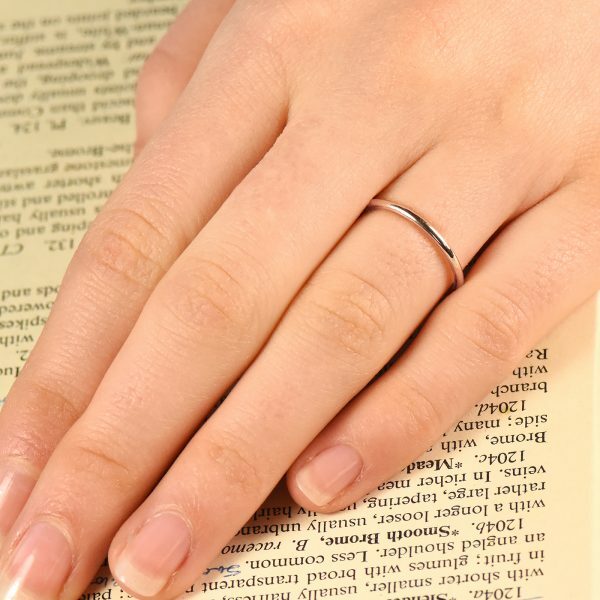 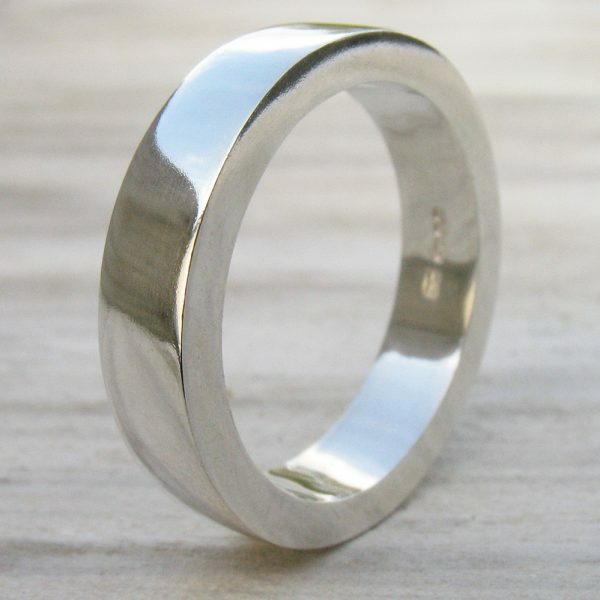 Thanks to the flat profile and slim width, this is the ideal wedding ring to fit with a statement engagement ring, or to complement an engagement ring with a similarly slim band. 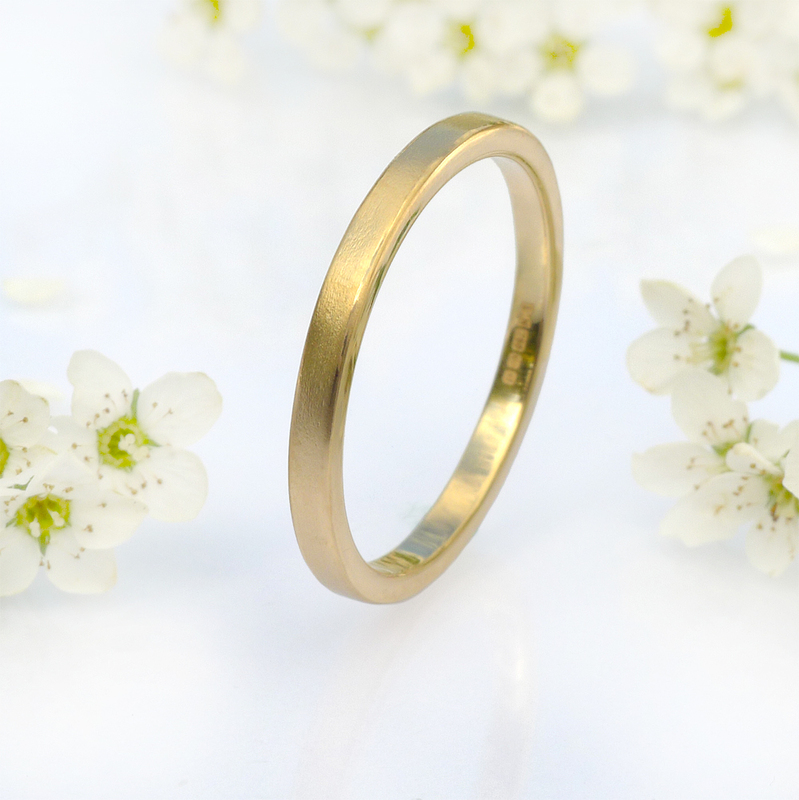 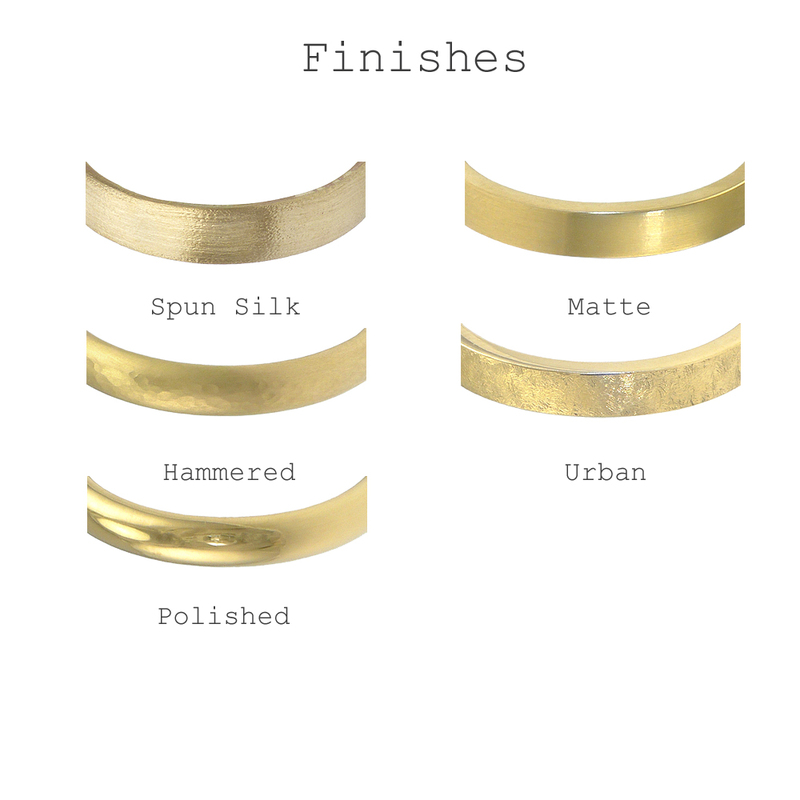 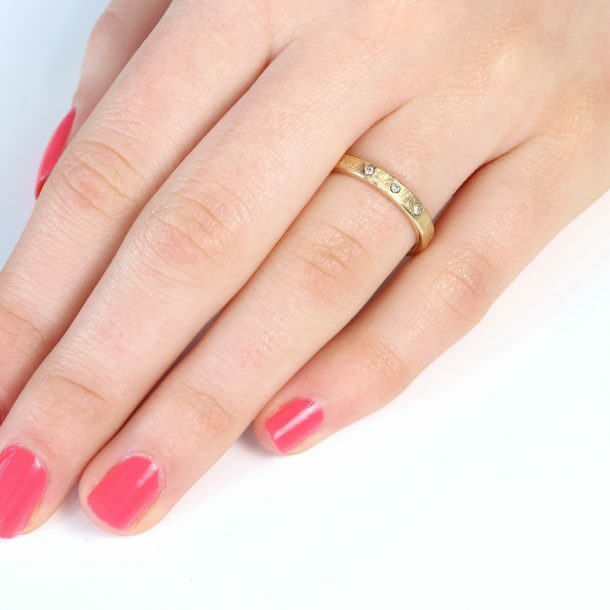 A slimline 18ct gold flat wedding ring handcrafted by Lilia Nash. 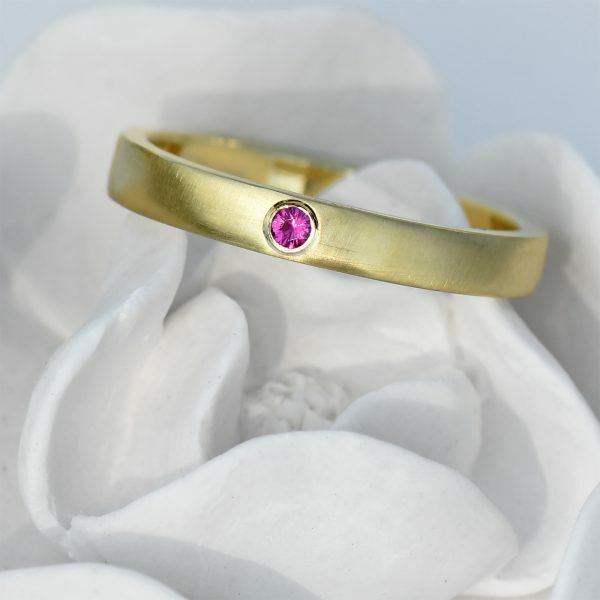 The low profile of the wedding band allows it to sit under the settings of many engagement rings, with a slender 2mm width ensuring it doesn’t overshadow a statement diamond or gemstone.